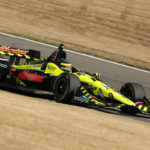 Sebastien Bourdais had a challenging race today in the No. 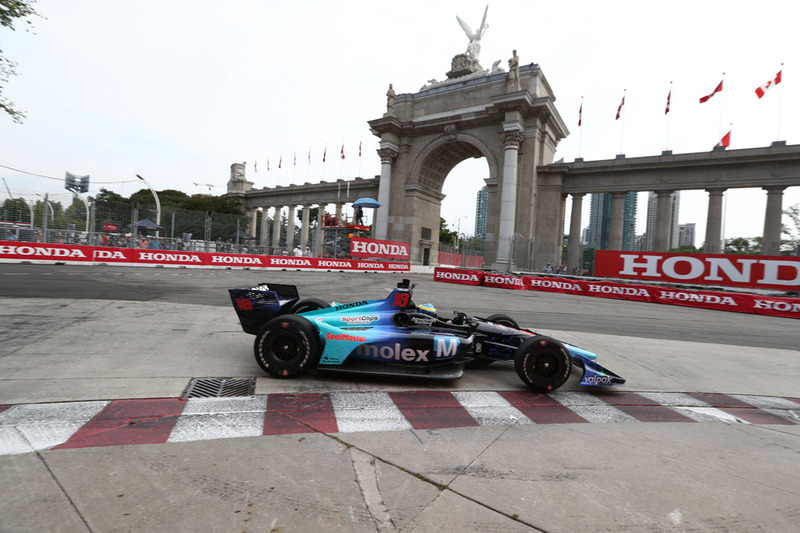 18 Team Mouser Electronics/Molex – Dale Coyne Racing with Vasser-Sullivan car finishing 19th in the Honda Indy Toronto on the temporary street circuit in Toronto, Canada. 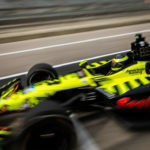 Bourdais started 17th, however worked his way up to 11th during the first stint of the race. 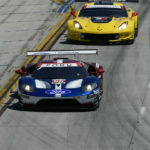 After pitting the team made some changes and put on black tires. 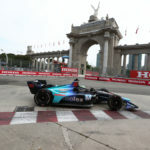 Shortly thereafter, Bourdais spun in Turn 1 and the back end of the car hit the wall damaging the rear wing. 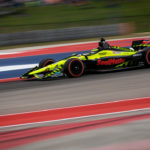 Bourdais pitted for a new wing, but lost two laps as the repairs were made essentially ending his race.